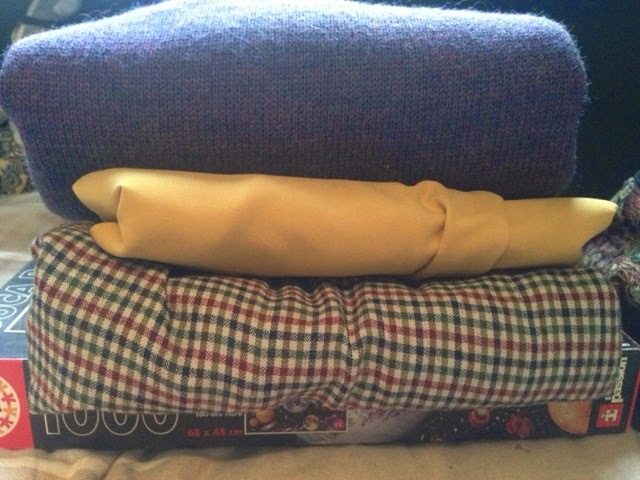 The easiest place for me to have a mooch about and go to charity shops is in Witney i'd say, there are about 10 charity shops there, I didn't go to all of them today though. I might do a personal update soon but i'm still thinking about it. Anyway i bought some stuff. 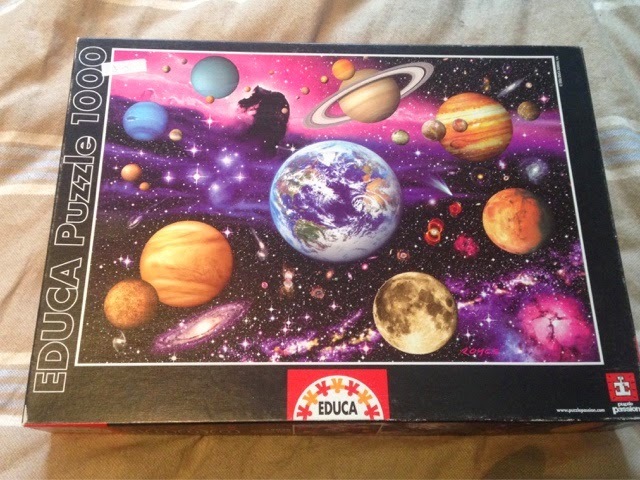 I bought this amazing space planets puzzle for £2 from The Oxfordshire Animal Sanctuary on Corn Street. 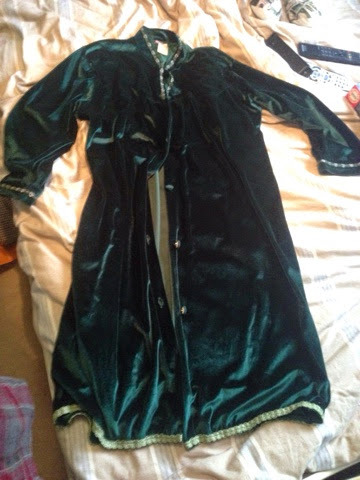 I bought this thinking it could be my new dressing gown because I hate my current one, it's too short and shows my bum, I don't really care but I live at home so I needed a longer one really. 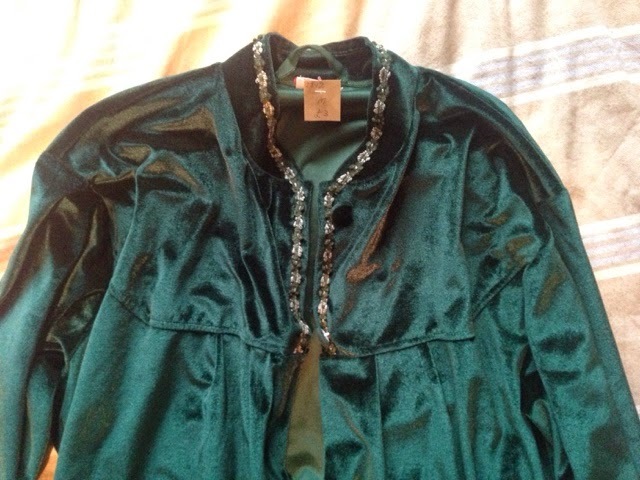 It's velvet and ugly and cute and it cost me £3, size M. The label says Chilprufe, the washing info label has been cut out, and I just discovered it has pockets so now I love it even more. This is also from The Oxfordshire Animal Sanctuary. This shirt is also from The Oxfordshire Animal Sanctuary, at this point carrying a puzzle, starbucks, velvet thing and carrier bag, a lady in the shop kindly put my empty starbucks in the bin and took my stuff to hold by the till so i wasn't struggling. 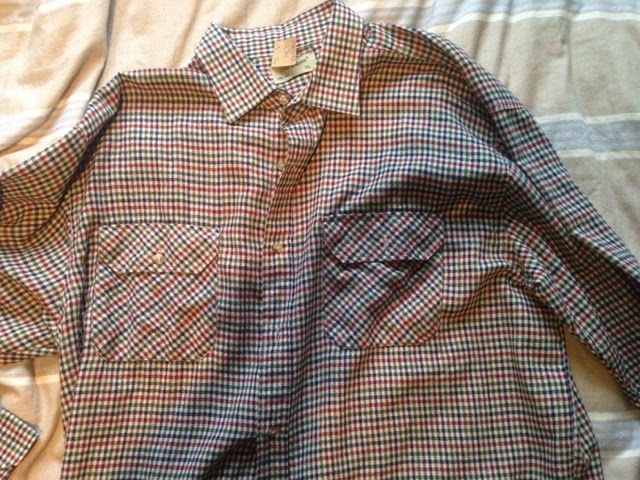 I bought this shirt for £3.50, it says Tom Hagan XXL on the label, I bought it because it seems quite gloomy to me even though it has a few colours in it, also the fabric is kind of rough textured and doesn't feel soft. These sound like reasons to not like it but I do. 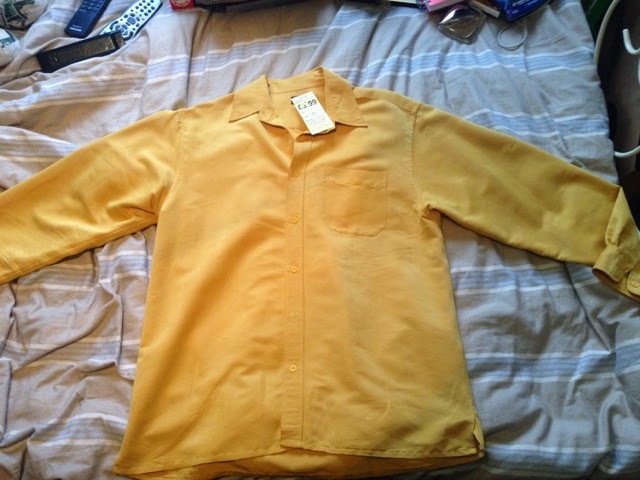 This shirt is my new favourite thing, it's a horrible yellow colour which I love, and it feels kind of rubbery. 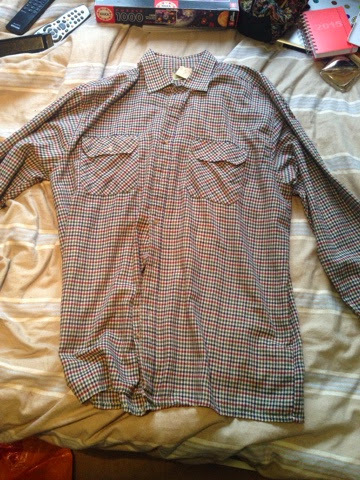 It says BHS Menswear Size M on the label and it was £3.99 from a lovely little charity shop raising money for African Children's Fund. This is also on Corn Street. I spoke to the two people working there today about the charity and they told me about how 3 years ago, the guy that started the whole charity, was on his way home from Africa and there was some kind of car accident and he died, since then his wife has been continuing the amazing work for the children and raising money for better school's e.t.c. Also the man's wife has been trying to find out exactly what happened to her husband and the South African police have never co-operated or shown any interest in finding out or telling her what happened. ATM one of the projects they are raising money for is to re-build a school with bricks, as it is currently entirely built of metal and parts keep being stolen. 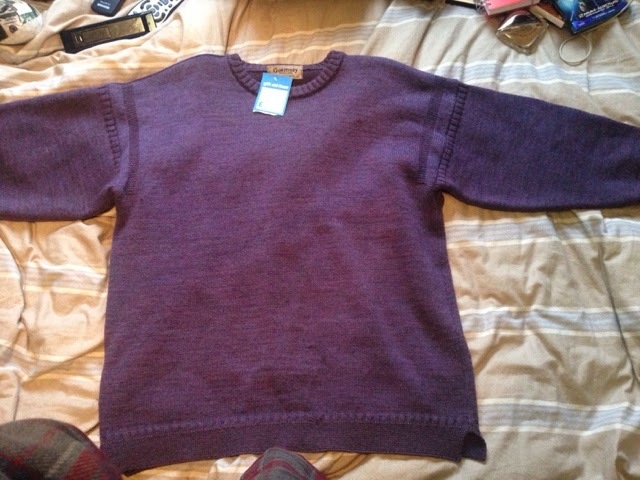 I got this purple jumper from Sue Ryder for £20. 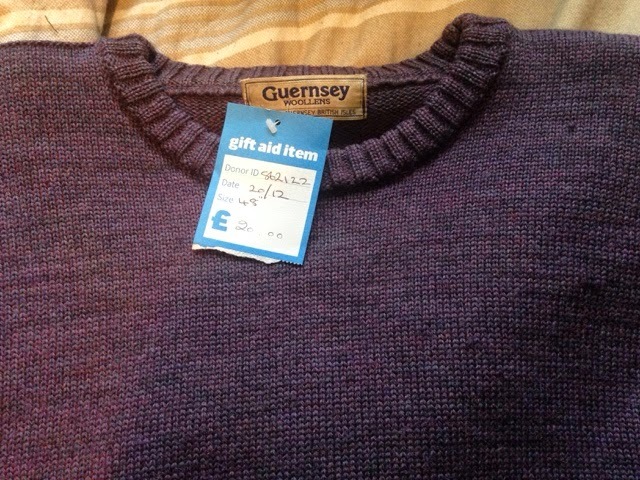 It says Guernsey Woollens on the label, I have no idea what size it is. I liked the dull purple colour, it says pure new wool on the washing label and to hand wash only, hmmm. This shop is on the corner of Corn Street and always has really interesting looking instruments in their window. I very rarely find any of my favourite magazines near where I live, so whenever I do I have to buy it. 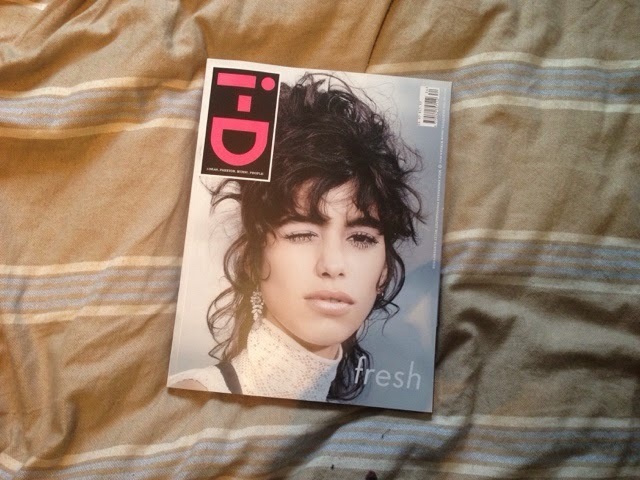 This is i-D Winter 2014, I woke up like this, The beautiful issue No.334. I've had a flick through so far and spotted a couple of fashion/internet/amazing faces i've been following on blog's e.t.c for a while so I'm looking forward to reading it. I got this from WHSmith in Witney. I randomly went into Rapture to ask if they had FKA Twigs album, I basically went in expecting a flat out - No we do not have it. But they did, and even though I have all of her songs on Spotify e.t.c I am so happy I have this! 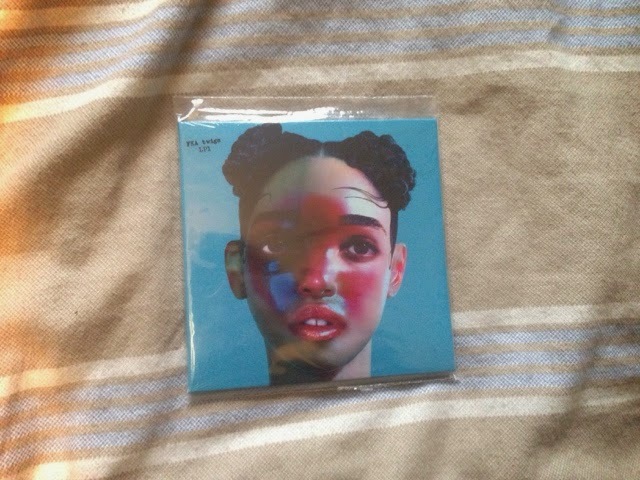 FKA Twigs is amazing, I am obsessed with reading her interviews, her interview with rookiemag is one of my favourites, this might also be because rookie is my favourite thing ever but still… Oh and this was £9.99. I needed a new blusher as mine is smashed and I don't want it to make a mess everywhere, of course I ended up buying a couple of other things, oh and I just realised I never even used my Boots card so that's a waste of points. I bought Collection Blush Bashful, it was £2.50, I like orange\pink kind of blusher colours, and I really hate it when blusher has glitter/shimmer in it so hopefully I am right in thinking this one is just matt. I have had the smokey eye palette from Collection for a while, and it's good but lately I like more brown colours for my eyes than grey so I saw this and thought - perfect. 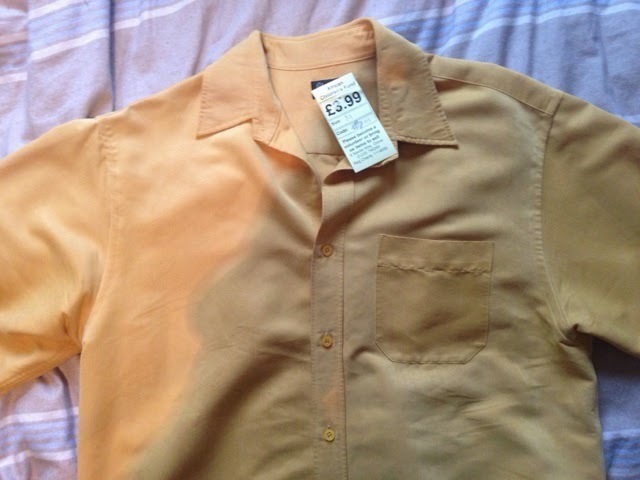 It was £3.99. 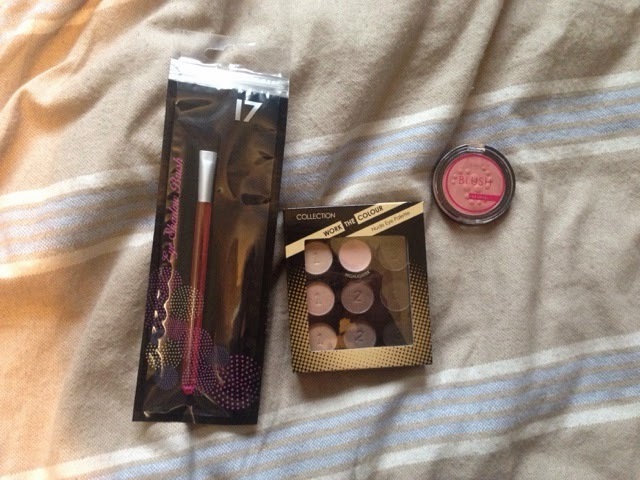 And definitely I could do with a new eyeshadow brush… I hate spending money on things like this, this was £2. I got £100 out at the cashpoint yesterday because I thought I was going to get some tyres for my car (it seriously needs a couple of new tyres) … and I have spent some of the money on this stuff today, well done Cheri. Hopefully I will still get tyres later today.